You are a fashion loving mama who wants to stay home with her kids, and you’ve heard that mamas can make money blogging about their passions right from home! Your passion = fashion. 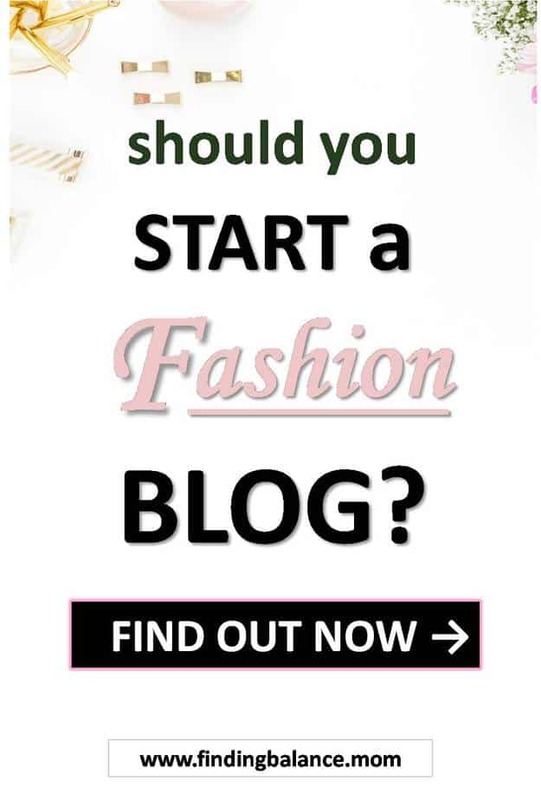 So naturally you want to learn how to start a fashion blog and make money. You are sooo in the right place mama. I have Chelsea from over at Her Paper Route talking how to start a fashion blog for beginners with me. Chelsea recently sold her fashion blog for $50k so if you want to learn how to start a successful fashion blog, she’s who you want to listen to. 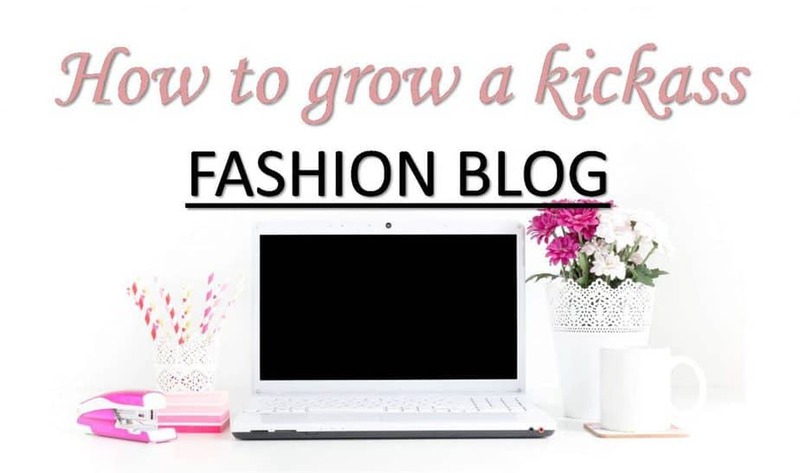 Buckle up because things are about to get serious and when we are done, you’ll leave with an indepth knowledge of how to start a fashion blog business. Don’t have a blog yet? Follow this indepth tutorial to get your own blog started then follow along! Hi Chelsea, thank you for agreeing to chat. Can you give us a look into your background and why you decided to start a fashion blog and eventually sell it? How did that decision work out for you? Good? Thanks for having me! My background is in marketing and web design. I started blogging for fun in University and soon found that it had the potential to be a real business. I was building websites and monetizing them for myself, and people were really interested in them, they wanted to own a blog – but they were intimidated by the tech and set-up side. 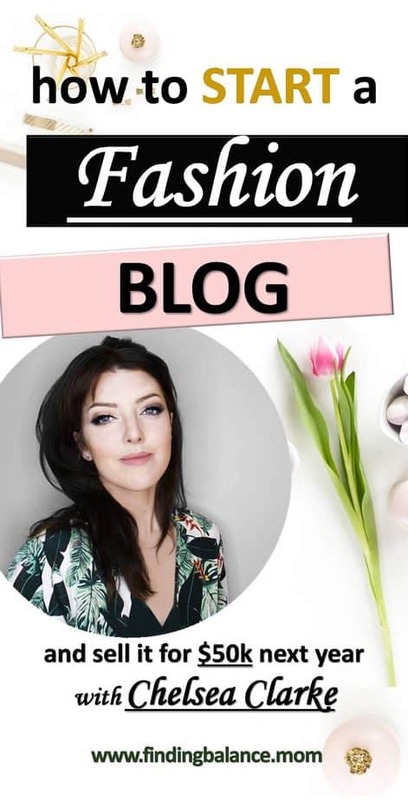 So, I started that fashion and beauty blog with the intention to sell it. I monetized it from day one, and focused on setting it up so that someone could just buy it and run with it, without having to do any tech or set up themselves. I started blogging for fun in University and soon found that it had the potential to be a real business. I had it making about $2000 per month and was about 75,000 monthly pageviews by the time I felt it was ready for someone to take over and grow it their own way. I sold that blog on its 1 year old birthday to the highest bidder. Buying niche blogs is a smart investment if you don’t have the interest in learning all the ins and outs, tech, and backend aspects of building websites. Plus, it also saves you a lot of time as I also take care of the SEO, create posts that generate income, and get everything monetized. So all the new owner has to focus on is creating new content and promoting it. I have a few more blogs that will be ready for purchase this season. If you are interested in being notified when they are ready for sale, you can sign up to be notified here: Blogs For Sale. Ok let me drop this question while it’s still hot because I’m sure it’s what everyone wants to know! How do fashion bloggers make money exactly? What can new bloggers expect as a sort of “average blogger salary”? A fashion blogger (and any blogger) makes money by various sources. The most popular being sponsored posts where brands pay to be mentioned on their blogs, and affiliate marketing. Affiliate marketing is when a blogger earns a commission when people purchase something after clicking their affiliate link to the brand’s website. Other ways bloggers make money is by selling ad space, selling their ebooks and teaching online courses. For a more in-depth explanation on how bloggers make money, see this guide. There is no set ‘cap’ or salary that a blogger makes. The sky is the limit on how much a blogger makes. How much you personally will make depends on how well you market your blog and get your affiliate offers in front of the right customers. There is no set ‘cap’ or salary that a blogger makes. The sky is the limit on how much a blogger makes. You can’t write a blog post and then expect it to automatically make $1000. You need to actively promote it and intentionally send leads to it. Here are some tips for ways to promote your blog posts and increase sales. So if your friend came up to you and asked “Should I start a fashion blog?” what would you say? Would you consider the fashion blog niche one of those popular blog niches that make money? Is this niche unsaturated and profitable enough to still enter right now? Every niche is saturated, but at the same time, every niche can be profitable. What determines if a blog is profitable or not isn’t the niche, but rather, it’s you. How solid your content is and how well you market it. I’d say, start a blog on a topic that you personally enjoy writing about and just go hard promoting it and putting it in front of your ideal customer. If fashion is your passion, go for it! Every niche is saturated, but at the same time, every niche can be profitable. What determines if a blog is profitable or not isn’t the niche, but rather, it’s you. But really the most important thing is that the niche you choose is one that you enjoy, and you will personally be interested in writing about it for a long time. Please talk about what you need to start a fashion blog. How much does it cost to start a fashion blog? Is it just the usual domain name and hosting or are there other unforeseen costs involved like outfits, photography? And the personality too, who is the ideal fashion blogger? Anyone can be a fashion blogger. If you have the determination to treat your blog as a business, you are on the right track for success. I hear from a lot of aspiring fashion bloggers who feel discouraged because they don’t “look like” a fashion blogger. They say they aren’t fit or pretty enough. And I say, to hell with that! Be confident in your unique look and carve out your own style. You will be surprised how many people just like you are looking for a new type of fashion blogger to follow. Do your thing! Starting a blog costs $3 per month for hosting, often including a free domain. I have a free guide to starting a blog here. You should use a professional theme so that your website looks and runs professionally. This can range from $20-$100 (one-time fee) and I recommend using a good automation tool for social media marketing too! You shouldn’t pay for outfits. As a fashion blogger, brands send you their clothes to photograph, wear and promote on your blog and Instagram. In addition to sending you clothes, they also pay you for the placement. If a brand asks you to buy their clothes, they are not a legit sponsor, do not waste your time on them! As far as photography, a lot of bloggers use their iphone and have great success shooting outdoors. If you have a friend willing to shoot you, even better. But many bloggers just take a tripod and put their cameras on a timer and shoot themselves! So when you have all these things you’ve talked about, you know it’s when to start a fashion blog or can you start a fashion blog with no money and just wing it? Just start. The longer you procrastinate, the harder it becomes to make it happen. The longer you procrastinate, the harder it becomes to make it happen. There are a few platforms famous for being fashion friendly and even though being a fashion influencer on instagram doesn’t really count as blogging, we would still like to know where to start a fashion blog? Instagram, pinterest, tumblr, wordpress, where do you recommend and why? Always have your blog self-hosted on WordPress.org as a base for everything else. Then build your email list and be visible on Instagram and Pinterest to drive traffic back to your blog. When I think fashion I think class with a bit of sass but I know it’s different for everyone. I think it’s important to talk about how to choose a fashion blog name so that your blog only attracts targeted traffic, your people. Any advice on how to pick a fashion blog name that gives off the aura you want and attracts the right people? Choosing a good domain name is important. You want it to be catchy and memorable, and instantly give people a sense of what your blog or style is about. The name you choose really depends on your blog/style content. But I would say, make sure that no one else has the social handles for it. And before purchasing any domain name, do a quick Google search to see what comes up. There may be a similar company or even the previous owner of the domain that comes up. You don’t want your name to be associated with someone else. Always buy the .com domain. If the .com domain isn’t available, don’t buy .net or .org ect. It’s better to try a different spelling or different name completely so that you can get the authority .com domain for your brand. Also, for SEO purposes, refrain from using dashes or numbers in your domain name. Let’s talk how to start a fashion blog and make it famous AKA how to get a fashion blog noticed. Your blog was merely 1 year old when you sold it. What would you attribute to its quick success? You really just need to treat your blog like a job and spend time every day doing something for it. Provide valuable, interesting content and actively be where your customers hang out. I am up at 6am every day promoting my blog posts in Facebook groups and forums. 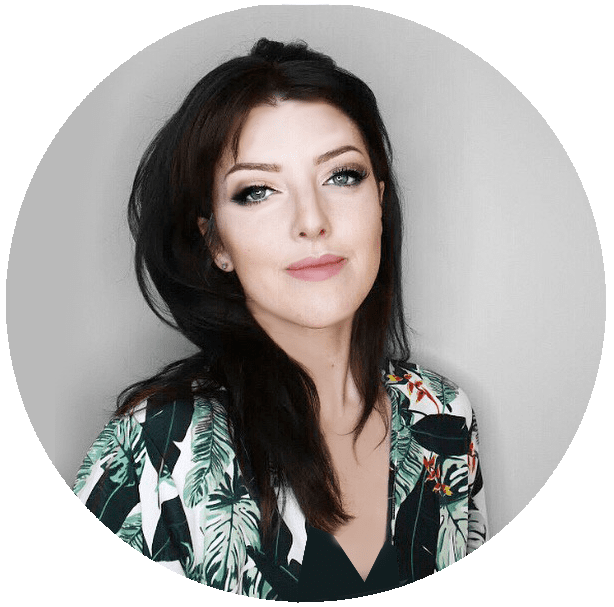 I spend the day creating content, researching, setting up my automation funnels, and generally tending to all the different tasks that blogging requires. To get your fashion blog noticed, you just have to get out there and show people what you can do. Provide valuable, interesting content and actively be where your customers hang out. I know you’ve written a couple of books and courses, do you have any how to start a fashion blog book? Is there something you have that a beginner who’s interested in how to be a fashion blogger can use as a sort of guide to start her own fashion blog? I welcome any aspiring blogger to enroll in my free blog starting course. You can use code BBUP4 to save 40% off tuition! Thanks so much for your time Chelsea, before you go, any more amazing start a fashion blog tips? You’ve shared a ton of valuable information on how to start a successful and profitable fashion blog so don’t blame us for wanting more! Thanks so much! Honestly, it can feel pretty overwhelming starting a blog, and starting a fashion blog is no different. But take it slow, learn a little every day, and most importantly, believe in yourself. We all started as newbie bloggers. You can do this! But take it slow, learn a little every day, and most importantly, believe in yourself. And that’s it! I bet you’ve learned a lot. Have a question you want answered? Chelsea’s here to answer your questions in the comments. Want to glean even more knowledge from blogging experts, read more expert interviews here. Lily what a great job by Chelsea. Build your blog on rock solid fundamentals. You can prosper by doing things the right way.